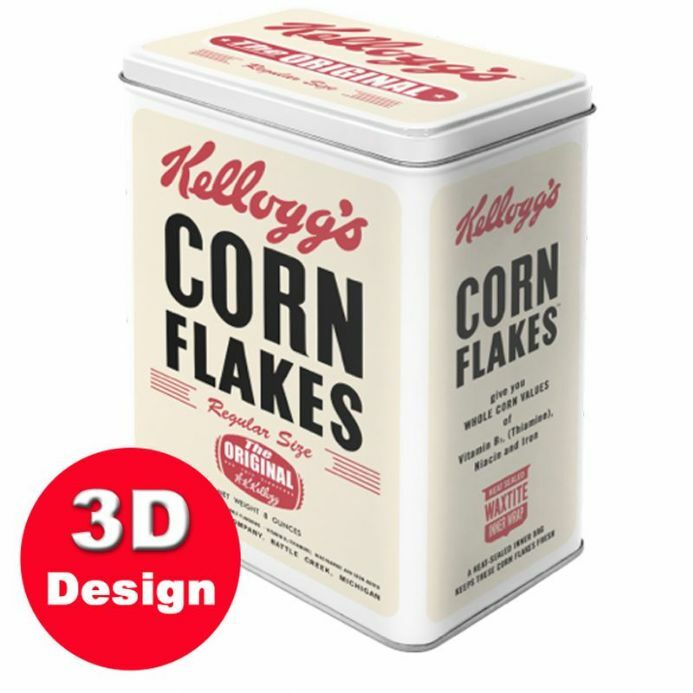 Store your Morning Cereal in this Retro Corn Flakes Tin. Made of Sturdy Sheet Metal, with a protective lacquer coating. 4Litre Capacity. Key Text and Pictures on the sides are in raised embossed metalwork. Size : 14cm long by 10cm depth by 20cm high.